The access ladder guardrail is a simple and effective security barrier that is quickly installed to ensure that your building meets all safety standards. Delta Prevention has developed a perforation-free railing system specifically designed to protect access ladders. Measuring 12'6 "on each side of the ladder, the guardrail offers great protection for workers approaching and/or exiting the ladder. 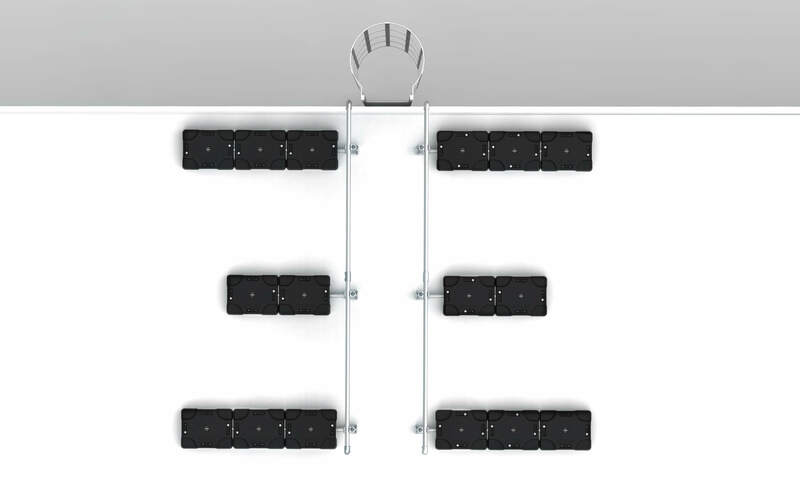 At the end of the ladder, the design of the counterweights leaves clearance for traffic. A self-closing safety barrier is also available as an option. An error occured. Please verify all the fields. Please validate that you are not a bot. Your submission has successfully been sent to MSK! Perpendicular configuration creates the ideal distance to install a compliant warning line perimiter. 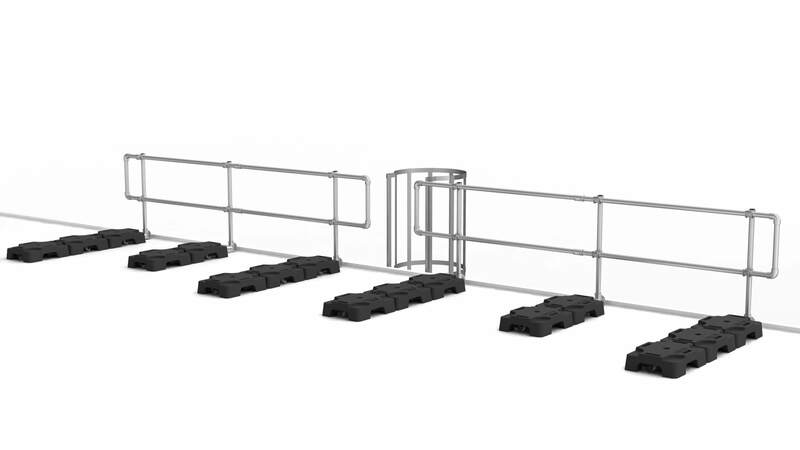 Self-closing and adjustable safety gate. Three reasons to follow us: #1 View unique case studies #2 Discover innovative solutions to problems you face (or will face soon) #3 Enjoy monthly rebates and promotions! MSK Canada has been involved in warehousing systems such as commercial, industrial, educational, hospital and car dealerships since 1990. We specialize in warehouse and work space development to maximize the productivity of facilities and human resources.